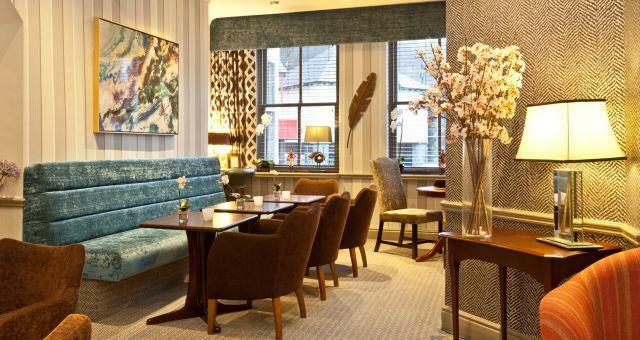 Ambleside Salutation Hotel & Spa sometimes limits bookings to 3 or more days. room 114 sometimes limits bookings to 3 or more days. We were booked to go to Tunisia and because of the recent events our holiday was cancelled so this was a last minute decision to come to the Lake District. We were not disappointed in our choice of hotel, we had a lovely stay. Staff were vey friendly and helpful and meals were excellent. Location of hotel could not have been better. Will certainly be returning in the future. Central Lake District location ideal for sight seeing and walking. Overlooking the centre of the market town of Ambleside, the Ambleside Salutation Hotel has welcomed visitors since the 1600s. Inside the hotel has been tastefully decorated and refurbished and you will find every modern comfort. As you enter the hotel you will be treated to a warm welcome from our friendly staff who are here to make sure your stay is really special. Each of our 57 en suite rooms has tea/coffee making facilities, colour TV, trouser press and hairdryer. We offer all non-smoking rooms in the main hotel and the adjacent Wansfell and Stockghyll Lodges. The superior rooms are larger, some with balcony. The superior rooms also have bath robes, slippers, bottled mineral water and complimentary newspapers. Our leisure club provides an indoor swimming pool, fitness centre, sauna, steam room, Jacuzzi and outdoor hot tub. Our Brasserie is open for dinner each evening from 5.30pm, using fresh local produce. Afterwards you can relax in one if our luxury lounges. Our central location makes us an ideal base for exploring the Lake District and if you're bringing your car we have our own free car park. 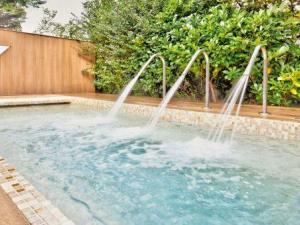 Waterfall Spa available on site. From the south, exit M6 jct 36, follow A591 through Windermere and on to Ambleside. Follow the one-way system in Ambleside taking the right-hand lane at pelican crossing. Hotel is on the left at the top of the road. By train to Oxenholme, change for Windermere. Bus or taxi to Ambleside.